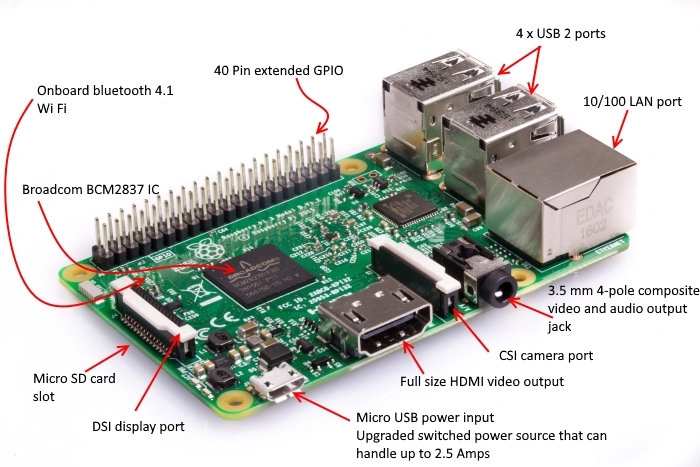 We will learn how to to install the Mosquitto Broker on Raspberry PI 3 model B board. The Broker is primarily responsible for receiving all messages, filtering the messages, decide who is interested in it and then publishing the message to all subscribed clients. There are several brokers you can use. 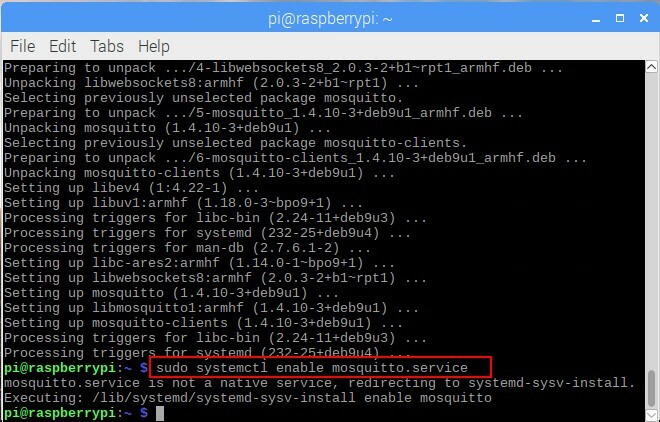 In our Home Automation projects we use the Mosquitto Broker installed on a Raspberry Pi 3. 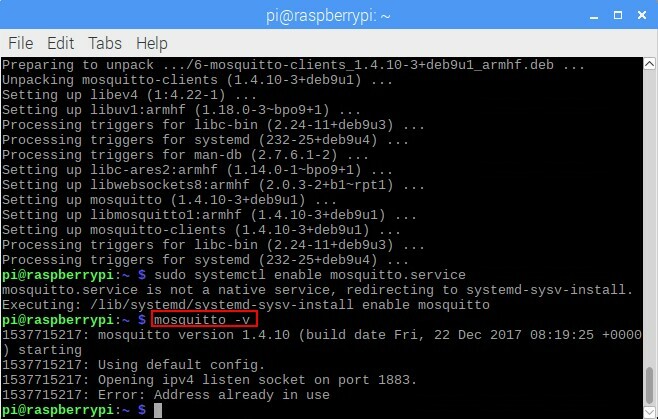 This returns the Mosquitto version that is currently running in your Raspberry Pi. 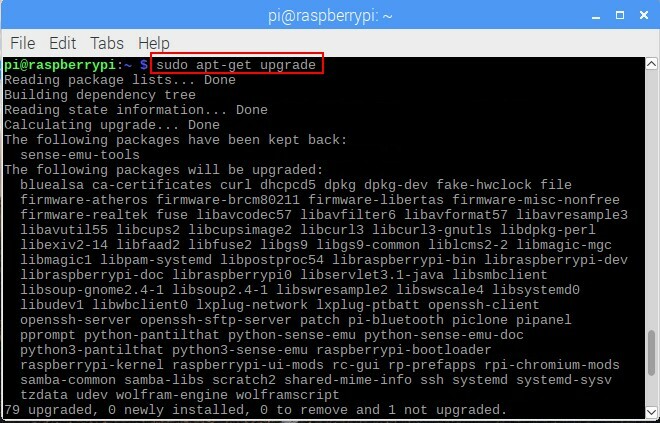 It should be 1.4.10 or above. 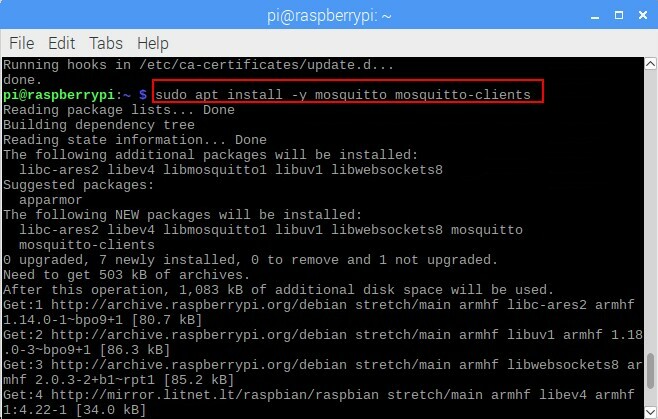 If the command mosquitto -v prompts a warning message saying Error: Address already in use. That warning message means that your Mosquitto Broker is already running, don’t worry about that. 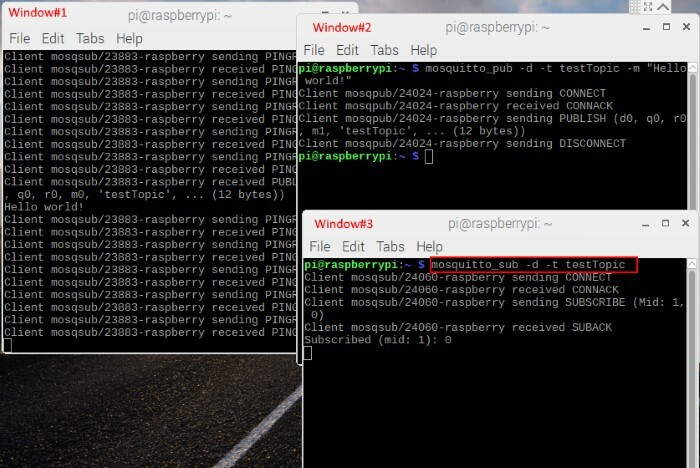 You will need your Raspberry Pi 3 IP address to use Mosquitto broker later on your DIY projects. 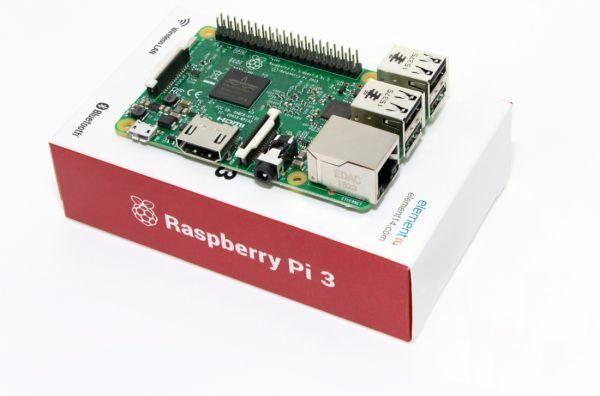 Type the command: hostname -I Our Raspberry Pi 3 IP address is 192.168.0.121. 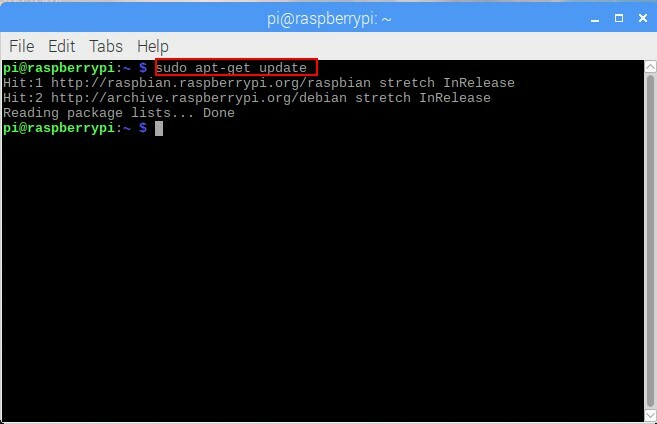 Save your Raspberry Pi IP address because you will need it in future projects. After installing MQTT Broker, I recommend installing an MQTT Cllient to test the Broker installation and publish sample messages. 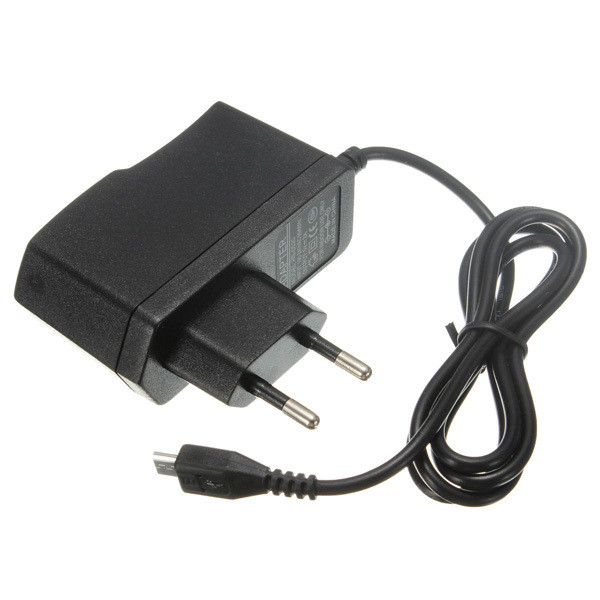 After installing MQTT Broker we will install an MQTT Cllient to test the Broker installation and publish sample messages. 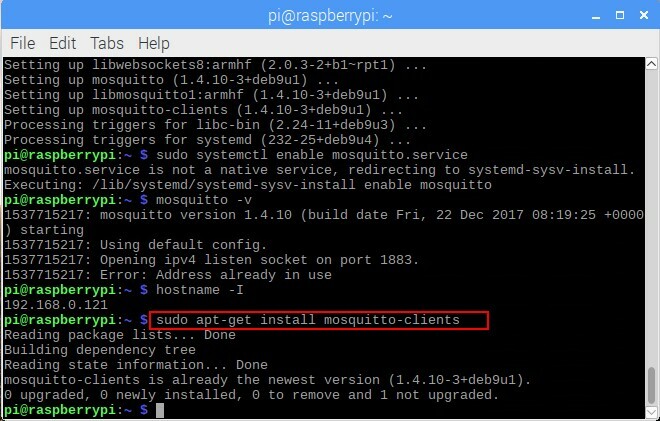 Type the command: sudo apt-get install mosquitto-clients to install MQTT Mosquitto Client. You are now subscribed to a topic called testTopic. 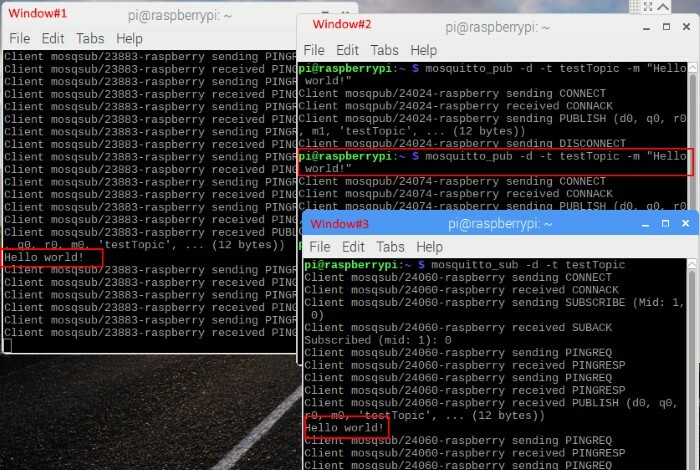 Type this command to publish a sample message to testTopic, open another terminal Window #2: mosquitto_pub -d -t testTopic -m "Hello world!" The message Hello World! 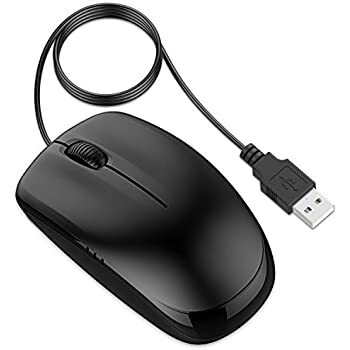 is received in Window #1. Publish the Hello World! message in Window #2 with this command: mosquitto_pub -d -t testTopic -m "Hello world!" Since two clients are subscribed to testTopic, they will both receive Hello world! message. 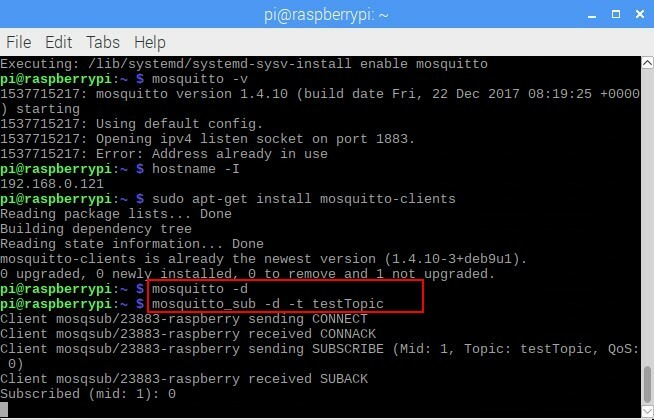 This simple example shows how MQTT works and how your devices (for example: ESP8266 ESP-12E or ESP32) could be subscribed to the same topic to receive messages or a device could publish messages to multiple devices. 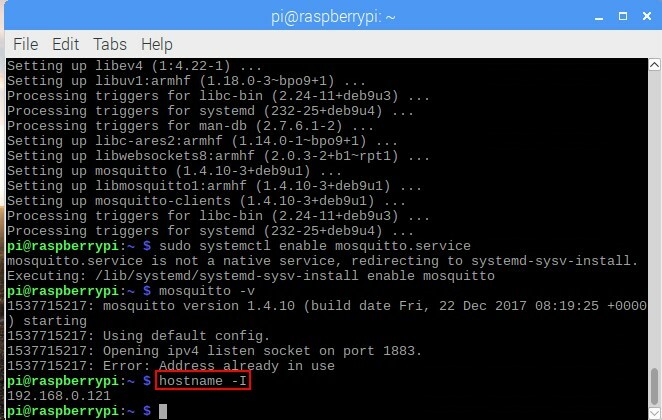 We have learnt how to to install the Mosquitto Broker on Raspberry PI 3 model B board.